(CBS) PHOENIX - Less than 24 hours after Jodi Arias brutally shot and stabbed her ex-boyfriend, Travis Alexander, she was sexually aggressive and "acting normal" when she showed up to her new love interest's home in Utah. That's according to testimony Wednesday by Ryan Burns, a young man whom the 32-year-old Arias had begun to show admiration for after meeting him at a conference in April of 2008. Burns said that Arias planned a visit to Utah after weeks of phone calls and texts that were escalating into a long distance relationship. Within hours of the visit and less than 24 hours after admittedly killing her ex, she was sharing a bed with Burns, he testified, kissing him and straddling him while making out. 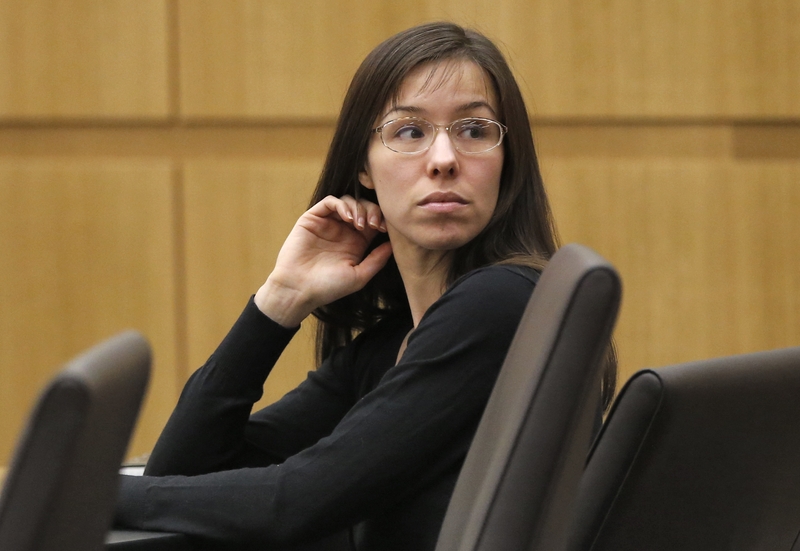 The prosecution says Arias took the road trip because she first went to Mesa, Arizona on June 4, 2008 to kill Alexander in a volatile rage of jealousy. Arias is facing the death penalty for shooting Alexander in his face, stabbing him in his chest and slitting his neck from ear to ear. Burns said that Arias showed up at his West Jordan, Utah home nearly 24 hours later than expected, couldn't be reached by phone for hours and was stopped by police with a front license plate missing and a back plate upside down in Utah. Arias, he testified, had an excuse for all the odd circumstances, even explaining that some kids at a rest stop had been seen messing with her license plates. The state wanted to show that Arias' behavior was cold, calculating and not that of a victim of an abusive sexual deviant, as the defense alleges Alexander to have been. The defense used Burns' testimony to try to show that he was the one who encouraged the sexual relationship with Arias and it was Arias who encouraged him to return to his Mormon Church roots. Arias converted to Mormonism after meeting the 30-year-old Alexander at a conference in Las Vegas in 2007. Alexander, a devout Mormon and motivational speaker, was dating other woman at the time of his murder in hopes of finding a wife. The prosecution believes that enraged Arias, who was jealous even after their 2008 break up.